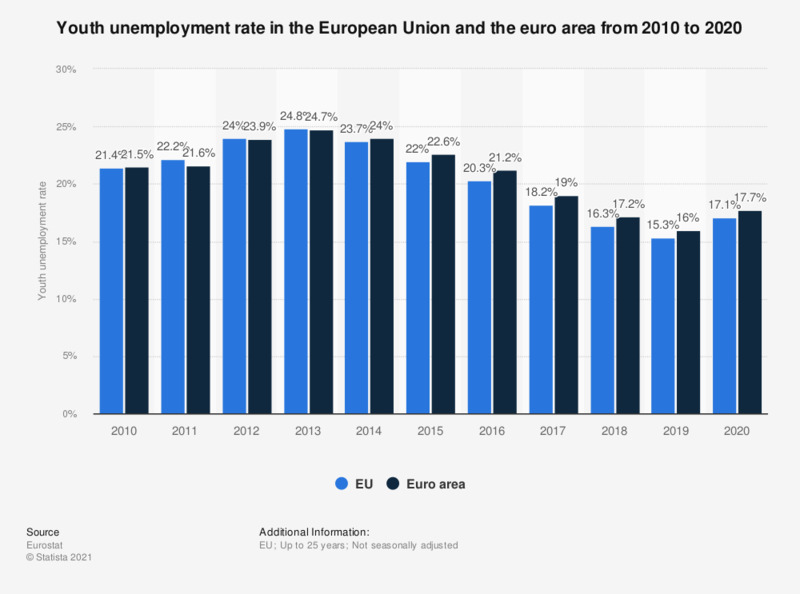 This statistic shows the youth unemployment rate in the European Union and the euro area from 2008 to 2018. The figures refer to those younger than 25 years. In 2018, the youth unemployment rate in the European Union amounted to 17.1 percent. The figures refer to the current member states of the European Union, i.e. including those which were not member states before. When do you think the euro will be introduced in Poland?